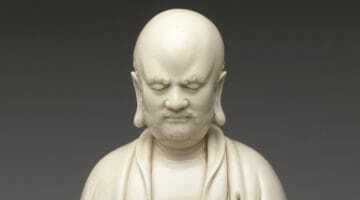 If you are carving your own dragon, says Shunryu Suzuki Roshi, you will never see the real one. That’s why true zazen requires giving up your personal style of practice. In China there was a man named Seiko; he loved dragons. All his scrolls were of dragons. He designed his house like a dragon-house and he had many figures of dragons. So a real dragon thought, “If I appear in his house he will be very pleased.” So one day the dragon appeared in his room, and he was very scared of him, and almost drew his sword to cut him. The real dragon said, “Oh, my!” and he hurriedly escaped from the room. “Don’t be like Seiko!” Dogen Zenji says. The instant you think, “This is the true dragon,” that is a mistake. Most of us are practicing our way like a blind man or like Seiko. That is why we have to start our practice over and over. 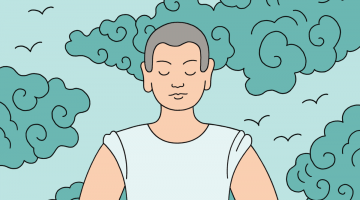 You think you are practicing real zazen, but it may not be so. So if you notice that you haven’t been practicing true zazen, you have to start the practice of true zazen again. Over and over we have to start our zazen, because we are always apt to practice zazen like a blind man, or like Seiko. Dogen Zenji says usually there is no person who hits the cart to make it go. Usually people hit the horse instead of the cart. But there should be a way to whip the cart. When you practice zazen almost all of you know you should whip the horse. And to whip the horse you practice zazen. You’re giving the whip pretty hard to your practice, without knowing how to whip the cart. But we should know there is another way to practice: to whip the cart instead of the horse. Horse is a symbol of mind; the cart means body. It also means zazen form—formal practice of zazen. Horse means attainment, spiritual attainment, and cart means physical practice. Usually, you know, we understand zazen practice as formal practice. Our shikantaza is formal practice and koan practice is more mental practice. But this kind of understanding is not complete. This kind of understanding is the understanding of blind men like Seiko. True practice is not formal practice or so-called shikantaza or koan practice. None of those. These practices are just the practice to whip the horse. This is like, Seiko loves the dragon, carved dragon, not real one. So, each one of us must think on this point. Each one of us practices zazen in his own way, with his own understanding. And he continues that kind of practice, thinking, “This is right practice.” So, even though he is sitting here in the zendo he is involved in his own practice. In other words, he is carving, carefully carving his own dragon, which is not real. That is what most of the people are doing. Some people may explain what zazen is in a philosophical way, or some people try to express our zazen in literature, or painting, or in a scientific way, without knowing that that is their own dragon, not real one. That is not wrong. That is all right, but we should know that there must be the way to whip the cart. We should know that there is a true dragon which has no form or color, which is called nothingness or emptiness, and which includes koan practice and so-called shikantaza, and various Hinayana ways of practice or pre-Buddhistic practice. This is the practice transmitted from Buddha to us. But at least when we do something there must be that which is supposed to be the true dragon, real dragon. In this way, we practice zazen. You come and practice zazen in this zendo where there should be the true dragon. But the instant you think, “This is the true dragon,” that is a mistake. But knowing that, if you come to this zendo, you should practice zazen with people forgetting all about your carving or your painting. You should practice zazen with the people in this zendo, with your friends, completely involved in the atmosphere we have here. Sometimes I allow people who are sticking to an old way to do that, but strictly speaking, those who practice zazen here should be completely involved in the feeling we have in this zendo, and practice our way with people according to my instruction. That is what you should do. But people who do not know what real emptiness is, or true dragon, may think they are being forced in this way: “Sokoji is a Soto Zen temple. I have been practicing Rinzai way.” But that is not true. We are practicing the way transmitted from Buddha to us. We are Buddha’s disciples. And we practice zazen with Buddha, with patriarchs. For some people that which does not have some particular form is not true being. So they may say that it is an imaginary dragon. But for a Buddhist, there is a way to understand reality in two ways: with form and color or without form and color. That is, to whip the cart instead of the horse. If someone whips a cart, people may say he is crazy. But there is actually a transmitted way to whip the cart. To practice formal way is to whip the cart. 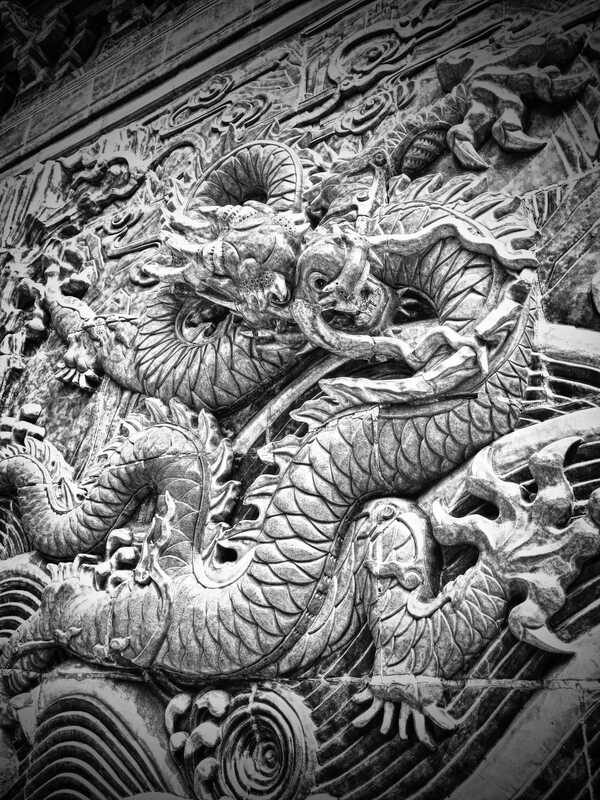 But for an ordinary person, to see the carved dragon is to not see the true dragon. That is so-called one pure practice—ichigyo zammai. Usually, ichigyo zammai is understood to mean being completely involved in some kind of practice. It is so, but at the same time, even though we are deeply involved in a kind of practice, at the same time we should have complete freedom from it. Do you understand? It is not so easy to talk about what real practice is. If we want to figure out what Dogen Zenji meant, without having this kind of experience, to talk about this point may be completely wrong. But we can figure out what he meant through our practice. His practice is something beyond formal practice or spiritual practice, or even beyond enlightenment. The more you try to figure it out, the more you feel distance from your practice and from his practice. And yet this is a practice which we cannot escape. Actually we are practicing his way day by day, but for us there is no time to figure out what he meant completely. And even though we human beings continue his way forever, we will not be able to say: this is his way. The only thing we can say is, this is the way which has no end and no beginning, and from this way we cannot escape. Unless you are able to have freedom from yourself, you will never have freedom from anything. Or, if you only have freedom from yourself, you will have freedom from everything. Because of this practice, various beings survive in the world, and everything is going in this way, including we human beings. So there actually is no problem for us. 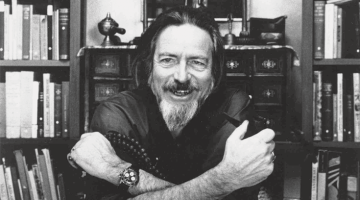 But as a human being who lives the Way in this world, the constant effort to keep up with the way the whole universe is going, and to practice our way is necessary, as long as this universe exists. With this feeling, with this complete calmness of mind, we should practice our way. After sitting one year, most students will actually have this quality of practice, but when you try to figure out what your practice is, there you have a problem, or you create a problem which does not belong to your practice. If you just sit, there is no problem for most of our students. But sometimes you create problems, that’s all. And you fight with the problems, that’s all. You are creating it, actually. In your zazen there is no problem. When you practice your own personal practice, you have a problem. When you just sit, being absorbed in the feeling we have in our zendo, there is no problem at all. We should make our effort on this point more, instead of carving our own dragon. In this way you have complete freedom from everything, including yourself. To talk about freedom is quite easy. But actually to have it is not so easy at all. Unless you are able to have freedom from yourself, you will never have freedom from anything. Or, if you only have freedom from yourself, you will have freedom from everything. How we attain this freedom is our practice. You should not listen to the various instructions as something forced on you. The instructions will help you only when you are ready to practice zazen according to the place where you practice, forgetting all about the old way of practice you have been making. I am not emphasizing Soto way instead of Rinzai way, but as long as you practice zazen in Zen Center, you should practice Zen Center’s way, or else you will just be involved in personal practice. You will be carving your own dragon, always, thinking: this the true dragon. That is a silly mistake. You shouldn’t create this kind of problem for your practice. As some Zen masters say, “Our way is like taking a walk, step by step.” This is our practice. When you stand on one leg, you know, you should forget the other leg. This is step by step. This is true practice. You know that if you stick to right leg or left leg, right foot or left foot, you cannot walk. This is how we practice our way. This is complete freedom.